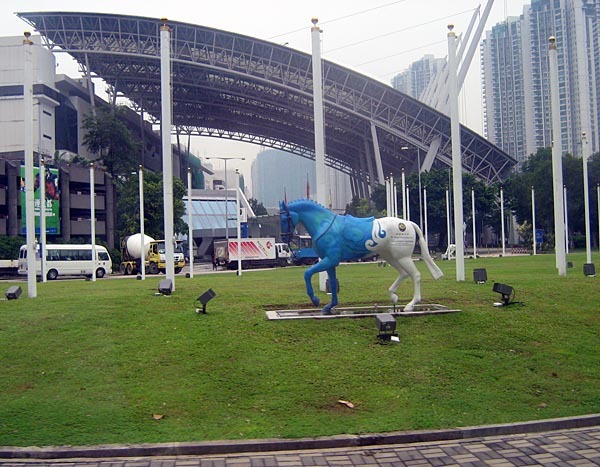 outside Penfold Park they have a circle of different coloured horses....all wearing actual leather bridles (pretty nice ones at that!). 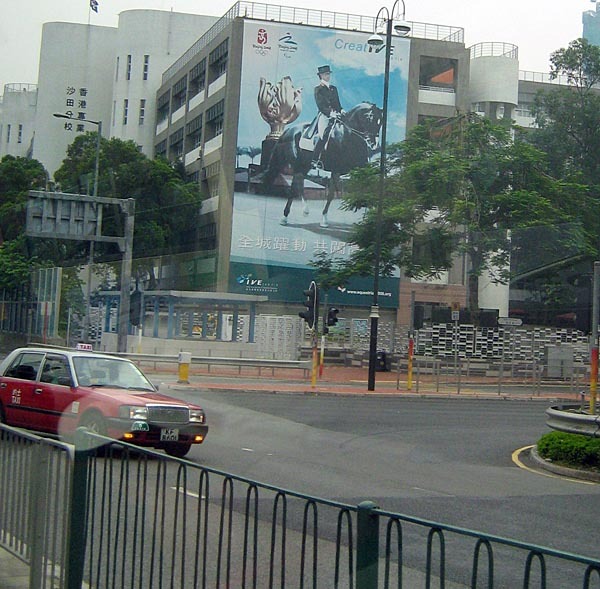 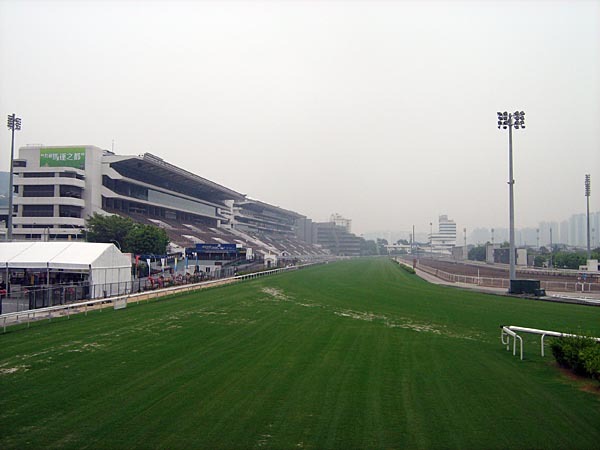 famous Hong Kong Jockey Club racetrack......riders are permitted to gallop on the track. 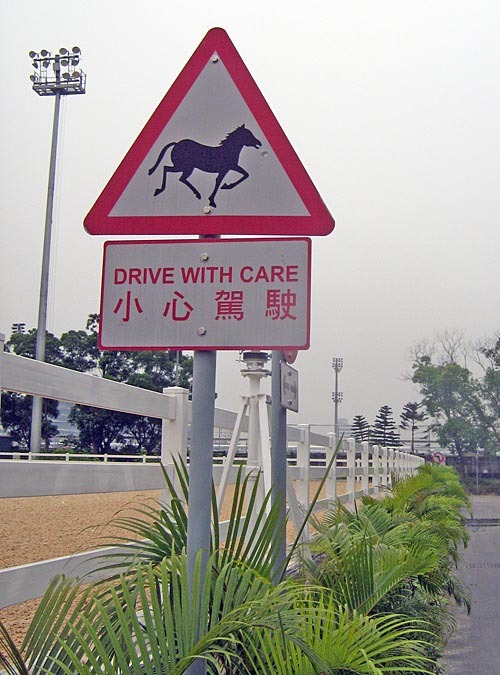 Now THAT must be fun!